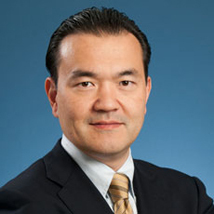 Dr. Yasufuku is Associate Professor of Surgery at the University of Toronto, Staff Thoracic Surgeon at the Division of Thoracic Surgery at Toronto General Hospital with special interest in minimally invasive diagnostics and therapeutics. He is the Director of the Interventional Thoracic Surgery Program at the University Health Network (UHN) which includes the Interventional Thoracic Surgery Animal OR capable of high end endoscopic development and the “State of the art” Interventional Thoracic Surgery Suite at the Toronto General Hospital for clinical application of new developments. He is also the clinical lead of Thoracic Surgery within the GTx program within UHN. He also leads the Thoracic Robotic Surgery Program at the University Health Network. He is a Scientist at the Latner Thoracic Surgery Research Laboratory, Toronto General Hospital Research Institute, University Health Network and his research interests include development of new technology in early diagnosis and ultra-minimally invasive thoracic surgery, translational research in thoracic image guided therapeutics (GTx), nanotenchnology enabled image guided intervention for lung cancer and molecular profiling of advanced stage lung cancer by minimally invasive procedures.